Give your home a luxurious upgrade by adding a level access shower finished with custom tile. Our innovative level entry shower base for installing a level entry shower has been designed by a master plumber and master tile setter to help eliminate installation issues that installers have faced when creating a tile shower. 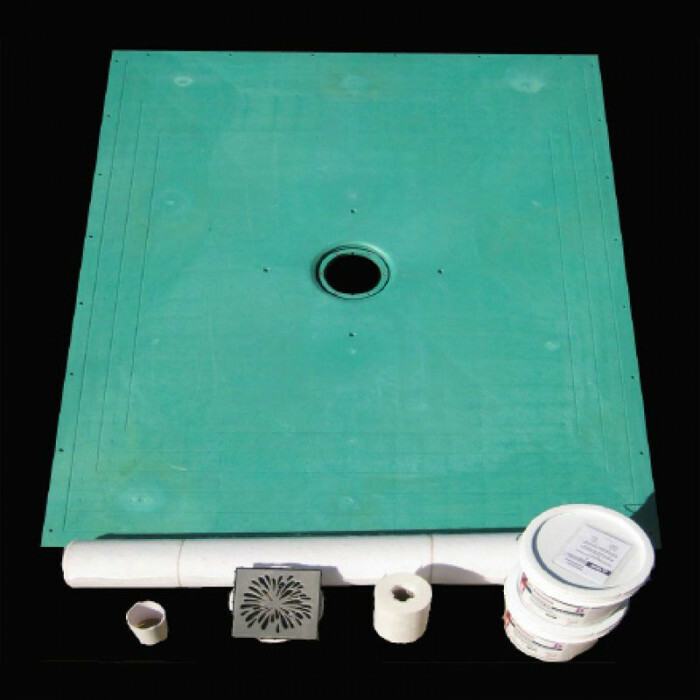 Providing the industry’s lowest shower pan for tiling a custom accessible shower, our level entry shower kit can be used to create any size shower. The sloped tileable shower base is made from recycled, sorted and cleaned ABS plastic, and has a textured pattern on the pan surface to create a firm bond between the pan and waterproofing liquid and fabric. These products are readily available and can be purchased from your local tile distributor. NOTE: 14” x 14” pan system is available for small showers, safety pans under washing machines, or as pet washing areas.